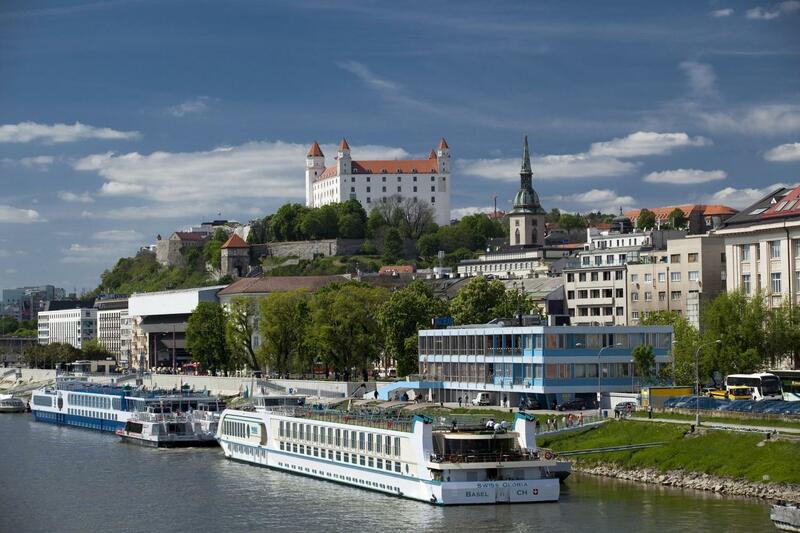 Private Bratislava Grand City Tour is the best choice for those who want to get know Bratislava well. 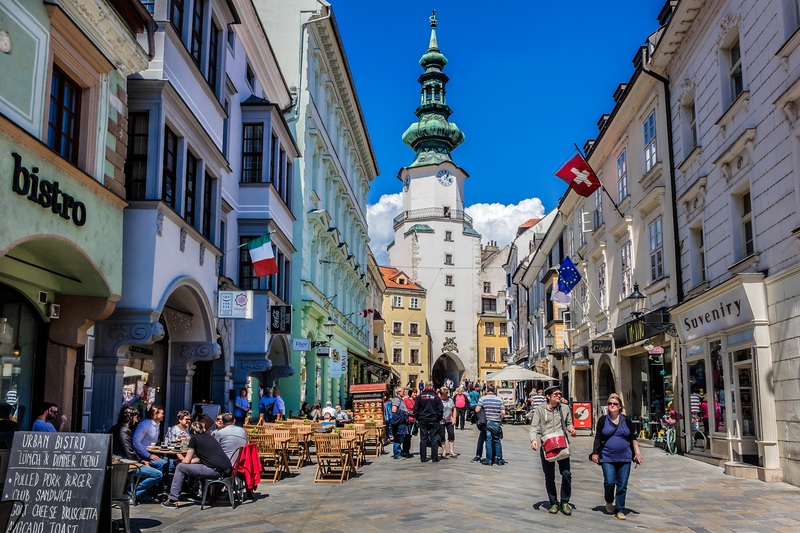 This private tour will get you the best image of Bratislava. Meeting with the guide at 1lobby of your hotel in Bratislava. 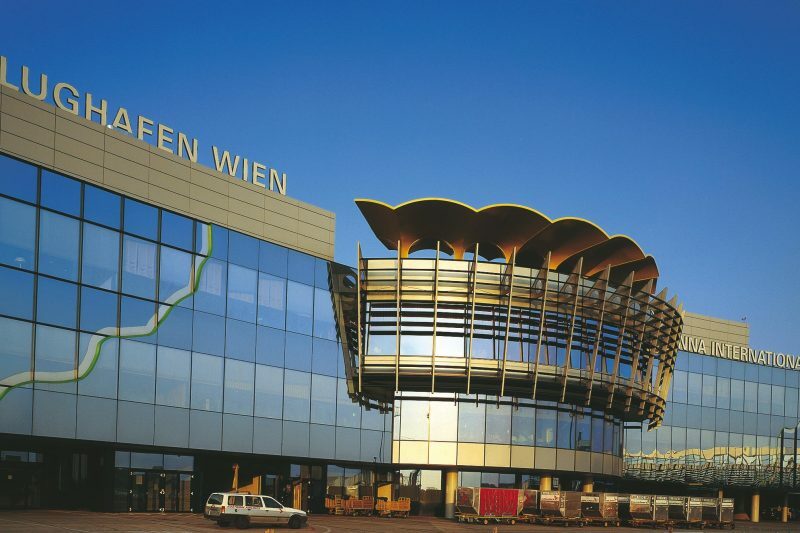 We will pick you up from your accommodation in Bratislava. If you just cross Bratislava, there is also possible pick up from bus/ train station. Short basic introduction about Bratislava. 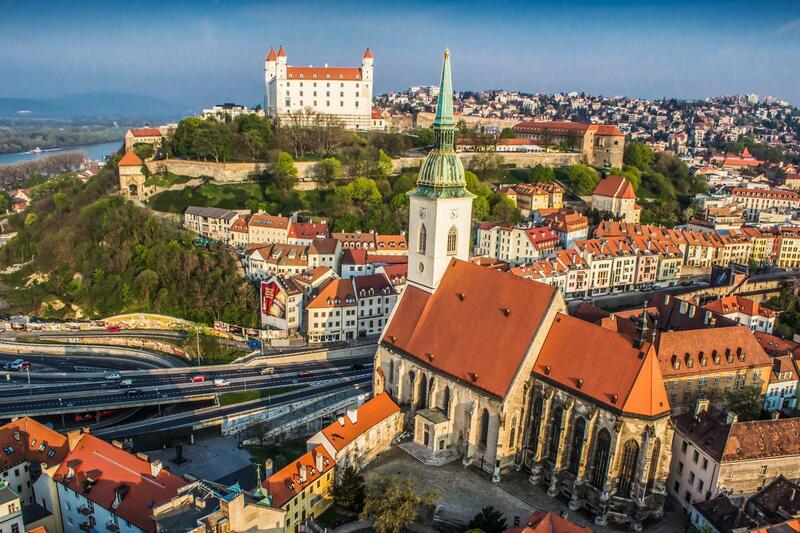 This sightseeing tour will give you detailed image of Bratislava. Discover Hviezdoslavovo square with Opera House and Reduta building. Pass by the statue man at work and get to Main Square. During Bratislava Grand City Tour you will hear legend about the knight Roland and refresh at fountain which took his name. Take a picture with Napoleon soldier and pass by Old Town Hall. 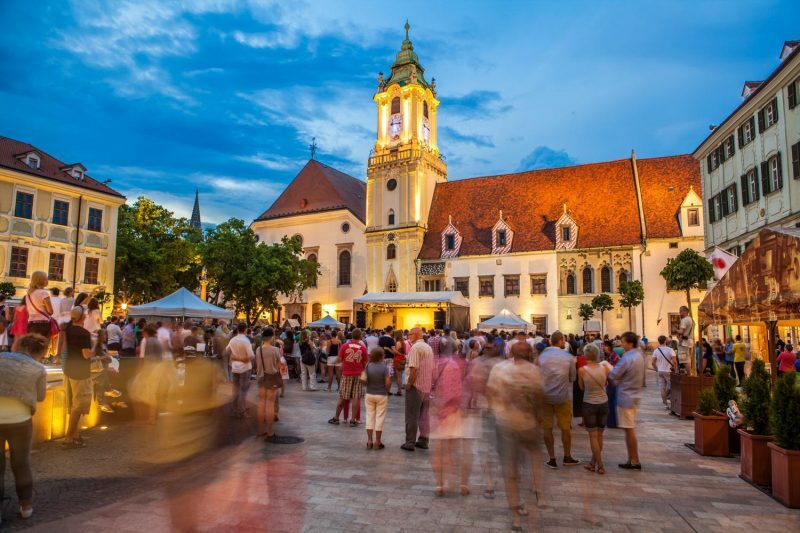 Continue to Primate’s square thru Franciscan square where is located the oldest building of Bratislava – Franciscan Church. 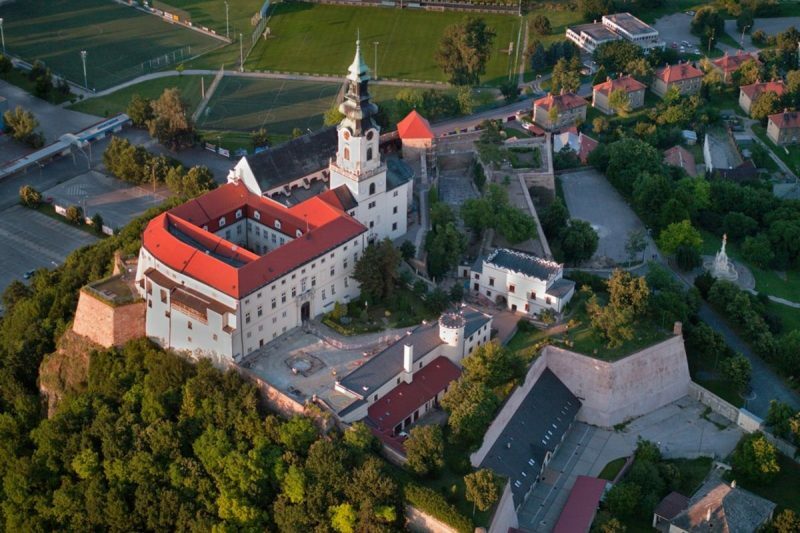 We will discover also the hidden gem of Bratislava – Primate’s Palace. Our strolling thru historical city center goes on with admiring Michael’s Gate. Passing by Palace of former Hungarian parliament and the walking part of the sightseeing tour ends in front of St. Martin’s Cathedral. After continue by car and pass along Presidential Palace- Bratislava Castle- Slovak Governement and finish with the visit to Slavin Monument. Drop of in city center, or at the hotel. The aim of Private Bratislava Grand City Tour is to present to clients whole Bratislava, not just the historical disctricts. The tour is combined and first half of the sightseeing is on foot and the second is drive. 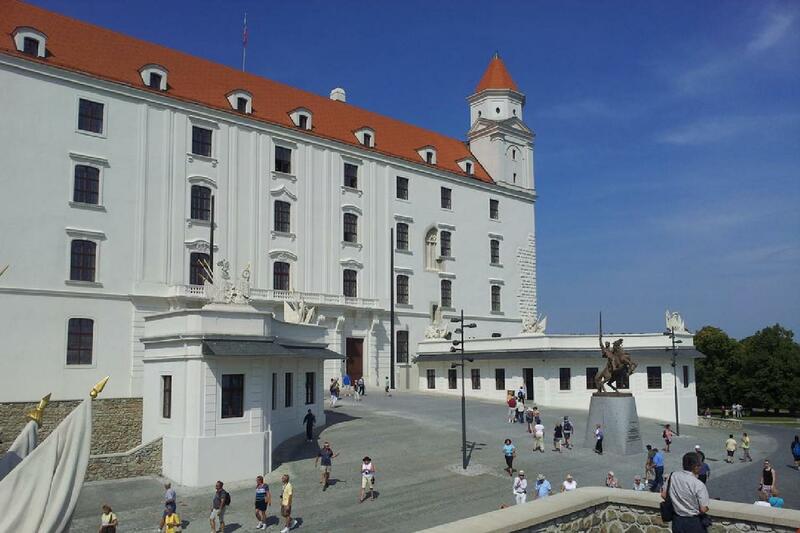 This excursion will give you complete picture of Bratislava. 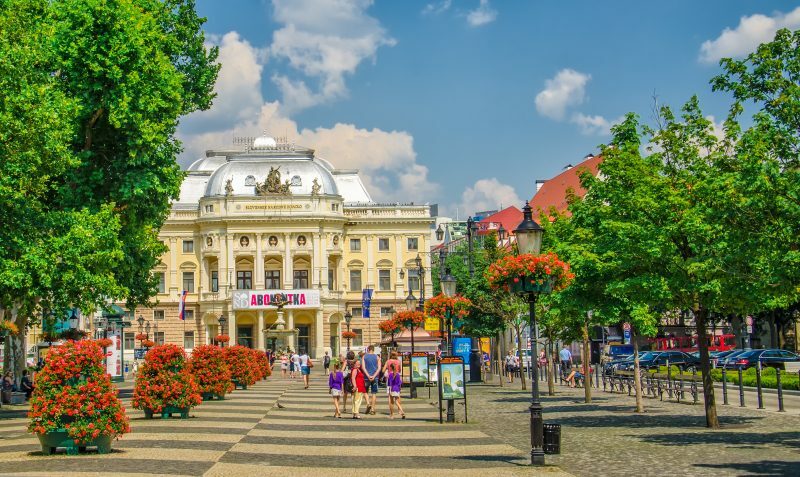 You will not only see historical core of Bratislava which includes Opera, Old Town Hall, Michael`s Gate and unique St. Martin`s Cathedral, which are at the heart of Slovakia’s capital city. 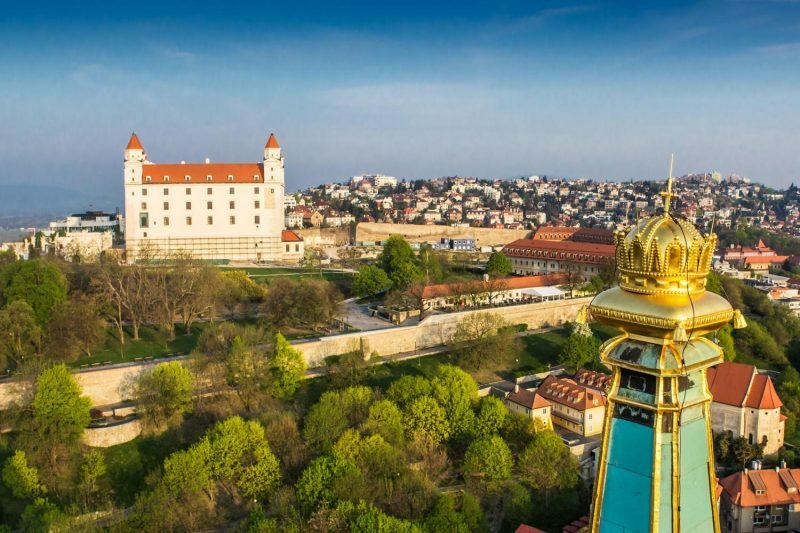 Moreover you open up the glamour of one of the youngest capital cities of European Union, by visiting imperial Bratislava Castle, charming district full of modernism architecture Palisady, as well as Presidential Palace and at the end Slavin Monument above the city. 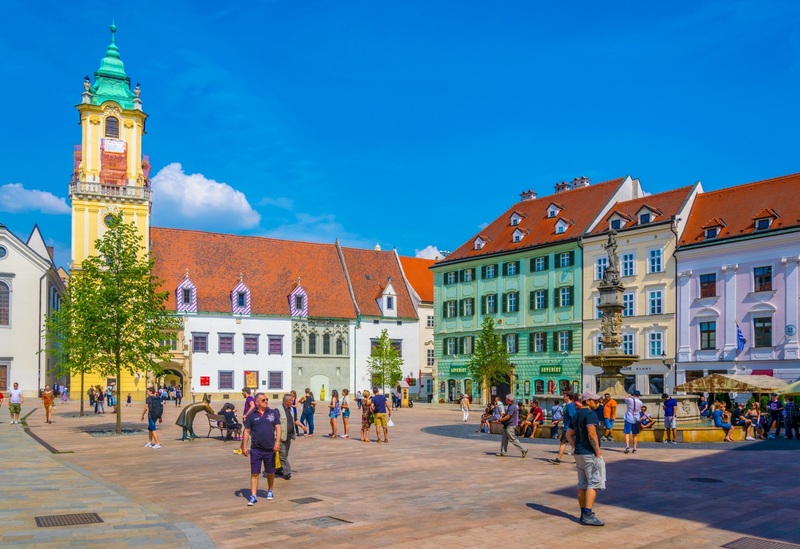 Whether you would like to spend your time by visiting royal palaces, listening classical music, learning about the way of Slovak independence, or eating traditional Bratislava` rolls, or drink local wine, Bratislava has something for absolutely everyone. On our you will see the most of Bratislava attractions and have a feeling how it is to be a real local.